Willie Edward Jones (August 16, 1925 – October 18, 1983), nicknamed "Puddin' Head", was a Major League Baseball third baseman who played for the Philadelphia Phillies (1947–1959), Cleveland Indians (1959) and Cincinnati Reds (1959–1961). He batted and threw right-handed. In a 15-season career, Jones was a .258 hitter with 190 home runs and 812 RBI in 1691 games played. Born in Dillon, South Carolina, Jones grew up in and listed Laurel Hill, NC as his home. 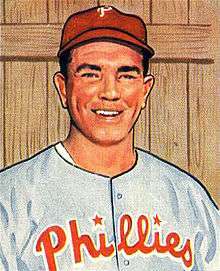 Jones started his major league career with the Phillies in 1947. 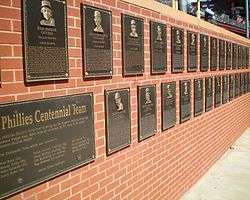 By 1949, he became the team's starting third baseman, and held that position until 1959. Jones was the top fielding third baseman in the National League during the 1950s. He led the league in fielding percentage five times, in putouts for seven years (also tying a record), and twice in assists and double plays. Jones' most productive season came as a member of the fabulous 1950 "Whiz Kids" National League champion team, when he posted career-highs in home runs (25), RBI (88), runs (100), hits (163), and led the league in games played (157). In 1951 he hit 22 homers with 81 RBI and a career-high .285 batting average. He was selected for the All-Star Game in both seasons. In 1959, Jones was part of successive trades between the Phillies, Cleveland Indians and Cincinnati Reds. He finished his career with Cincinnati in 1961. Jones died of cancer in Cincinnati, Ohio, where he had lived after his playing days were over, at the age of 58. Baseball Digest - "1950: When Philadelphia's Whiz Kids won the NL pennant"